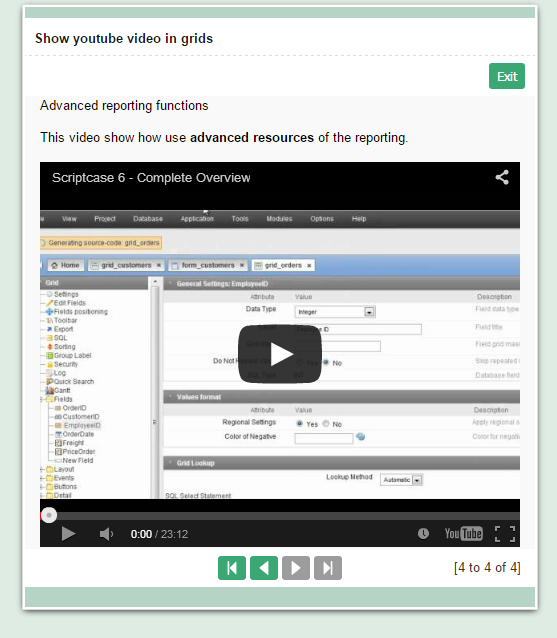 In this example we can see how to configure exbição Youtube videos on a Grid. 1. 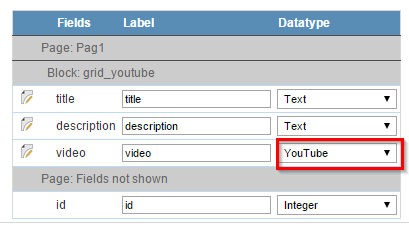 Create a new grid application based on the table youtube. 2. 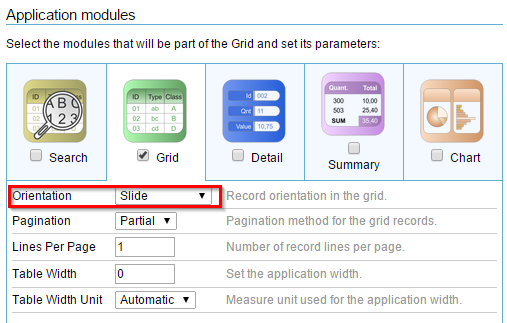 “Modules Grid”, change the Grid module to slide. Only enable this module. 4. 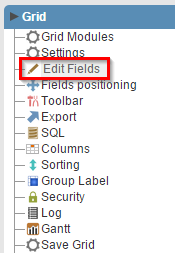 Select the fields “title, description and video” to display and change the type of video field to Youtube. 5. Access the item “Layout >> Blocks” from the application menu. 6. Remove the display of labels.